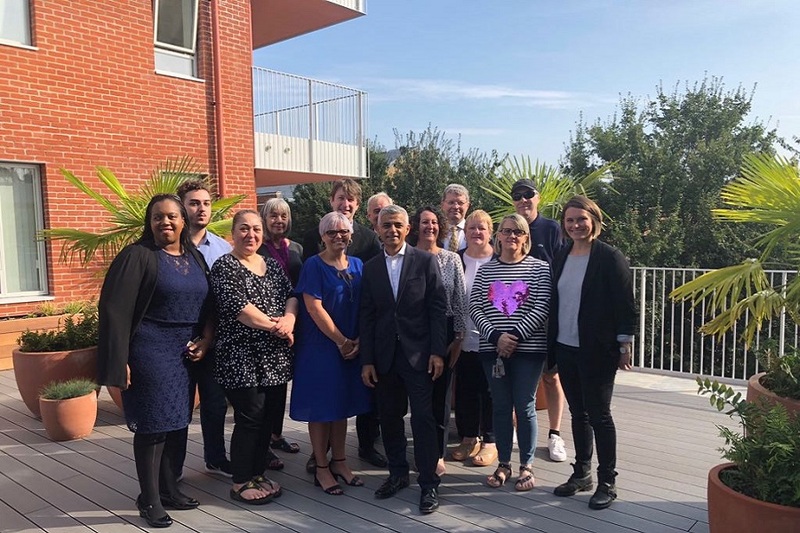 The Mayor of London visited Marklake Court to see first hand the work that igloo Community Builders had been busy helping Leathermarket CBS and the community of Bermondsey, Southwark to deliver. 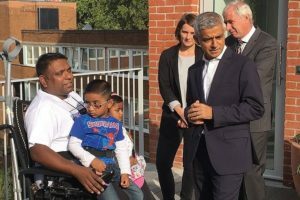 “My dad was a bus driver who was able to live in the sort of home with his family that a bus driver today is unlikely to live in,” Khan says. 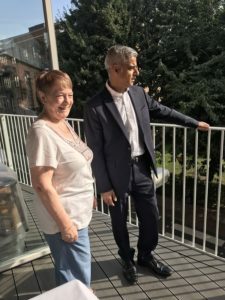 “This government’s welfare policies, from the bedroom tax to the benefit cap, to attacking housing benefit and suggesting that homes costing £450,000 are affordable, have led to a hollowing out in cities like London. The Marklake Court development is situated on the Kipling Estate on a site of 12 old lock-up garages. The new development of 27 homes of bespoke sizes is now complete and the residents are now moving in. Off the back of the success of the first project, the Leathermarket CBS have been working with igloo Community Builders and their professional team on the second phase – the Joseph Lancaster Nursery site. The scheme for 40 social rent homes is imminently awaiting planning permission.